The Illinois Department of Public Health has issued a warning over an intestinal illness that may be linked to salads at McDonald's restaurants. NBC 5's Michelle Relerford reports on symptoms and what to do if you have them. Nearly 100 cases of an intestinal illness connected to McDonald’s salads throughout Illinois, the state’s health department said Thursday. Around 90 cases of cyclosporiasis, caused by the microscopic Cyclospora parasite, have been reported since mid-May, according to the Illinois Department of Health. The Iowa Department of Health has reported a similar increase in cases, Illinois officials said. 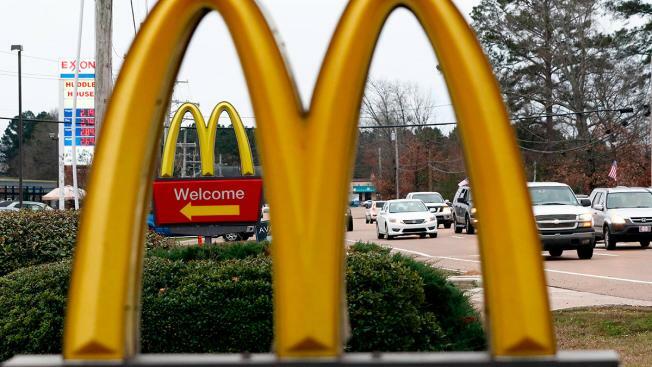 Officials said the fast food chain is “fully cooperating” with state health departments, the Centers for Disease Control and Prevention and the Food and Drug Administration. McDonald's confirmed to NBC 5 the company had been in contact with public health authorities from both Illinois and Iowa regarding the illnesses. "Out of an abundance of caution, we decided to voluntarily stop selling salads at impacted restaurants until we can switch to another lettuce blend supplier," McDonald's said in a statement. "We are in the process of removing existing salad blend from identified restaurants and distribution centers – which includes approximately 3,000 of our U.S. restaurants primarily located in the Midwest." According to Illinois health officials, people can become infected by consuming food or water contaminated with feces that contains Cyclospora. The parasite is not spread directly from one person to another. The infection can be treated with specific antibiotics, officials said. If not treated, the illness may last for a few days to a month or longer. Previous cyclosporiasis cases have been linked to various types of imported fresh produce including raspberries, basil, snow peas and lettuce. "McDonald’s is committed to the highest standards of food safety and quality control," the fast-food company said. "We are closely monitoring this situation and cooperating with state and federal public health authorities as they further investigate."